The following is a sample of some of the homes that I have recently listed and/or sold. Both units are delivered vacant with new kitchens, refinished wood floors and fresh interior/exterior paint! The roomy two-story owner's unit, that lives like a gracious home, has generous sized public rooms, three spacious bedrooms with large closets, one and one-half baths, ample storage, laundry room and interior access from the garage. The charming one bedroom, one bath unit has a sweet rear garden with raised planter beds. Fantastic opportunity in this fixer in great location! Bring your hammer, nails and paint to this property with loads of potential! Split level floorplan with hardwood floors and spacious rooms. Large, fenced backyard. Close to UC, downtown & BART/transportation! Low pest report. Sitting behind the enclosed private patio, the front house has four bedrooms, two baths, spacious public rooms, refinished wood floors and fresh interior paint. Envision converting the large laundry off the kitchen into a family room or use the large studio room, with skylights, as a home office. Use your imagination to make it shine! The back house is a recently (2007 - 2008) rebuilt one plus bedroom, one bath home with, laundry hookups and french doors that opens to a sweet garden and patio. Impeccably updated! An entertainer's dream! Traditional floorplan with generous sized rooms! Gourmet kitchen/family room combo & formal dining open to large deck with bay & hill views. Den/study, refinished hardwood floors, new carpet & fresh paint. Media/rumpus room with French doors open to a vast, landscaped level backyard with hot tub. Close to Redwood Park trails, world class cycling and easy Montclair & Transbay bus access. Sundrenched cottage in a private setting with a sweet garden! Highlights include bay windows and cozy fireplace in the living room, updated kitchen and dining area opens to rear patio. Sweet condo in tropical setting with bridges and koi ponds! Beamed ceiling in living room! Sliding glass doors in dining room and living room open to view deck! In-unit laundry & garage parking. One level living in Park Hills! Savor serenity in this quiet & tranquil setting with beautiful Tilden Park views. Quality throughout including remodeled kitchen & bath and refinished hardwood floors. Newer windows, French & sliding doors, clear pest, PSL compliant. An urban oasis offering maximum privacy on expansive parcel. Dramatic Contemporary home with soaring ceilings, custom updates and gorgeous hardwood floors. Meandering paths and level gardens with a detached studio. Very special! A cute and affordable home close to Montclair Village, schools and easy freeway access. Sunny, spacious deck and sweet gardens. Enjoy San Francisco and Bay views from this lovely home with classic, original details combined with modern system upgrades. Three bedrooms and and an updated full bath upstairs with a fourth bedroom, half bath and laundry room downstairs. A one level, sun-filled Traditional home with wonderful floor plan and generous sized rooms. Updated, eat-in kitchen opens to rear patio and spacious, level garden with fruit trees. Take in the San Francisco and Golden Gate views from this updated brown shingle home. Beautifully updated kitchen with custom cabinets. Split-level floor plan with hardwood floors and soaring ceilings. Enjoy the indoor/outdoor living with central courtyard, view deck and Zen-like garden. Spanish Mediterranean home boasts top quality details and finishes throughout. Formal living room and dining room feature elegant archways and columns. A gourmet kitchen and family room combination opens to the beautiful patio and level garden. Savor private time in the remarkable master retreat with sitting area. A very special home with a practical and spacious floor plan with generous sized rooms. All level living in Montclair! Beautiful San Francisco view from the spacious deck & rear garden! Hardwood floors & updated kitchen! Beautifully remodeled Victorian close to hip Uptown eateries & businesses! Classic features include tall ceilings, moldings and paint colors! 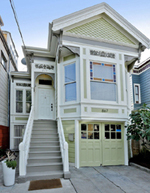 Gorgeous Craftsman with staight-on, unobstructed SF & Golden Gate views! Tall, coved ceilings, hardwood floors & lovely rear patio & yard. I represented the buyer! Beautiful turn-key home in Maxwell Park. All level with gourmet kitchen, updated bathrooms and generous rear garden! I represented the buyer! Successful short sale closing! Classic Spanish Mediterranean with original charm still in place! Random plank floors, updated kitchen and fabulous back garden. Diamond in the rough 1904 Berkeley Brown Shingle located close to campus in the Elmwood, great bones with loads of upside potential! All of its original detail. Pocket doors, hardwood floors on lower level, updated electrical 200 amp service, sewer compliant, close to campus walk score 85. A spacious Craftsman style home located in the desirable Woodside Glen neighborhood, an enclave of 22 custom built homes completed in 2006. Conveniently located with easy access to freeways, transportation, local amenities and acclaimed restaurants. Come home and savor the tranquility adjacent to the open space of Joaquin Miller Park and trails! I represented the buyer! Below market townhous. Centrally located condo in much sought after Glashaus development! Offers granite counters with s/s appliances, washer/dryer & garage. This is a below market rate unit (maximum allowable household income: moderate income/household size--1-$78,550 2-$89,750 3-$101,000 4-$112,200) . Uniquely offered Spanish Mediterranean filled with charming architectural details including wrought iron, beveled leaded glass & stained glass windows! Split level floor plan offers nice separation of space! Angel Island, North Bay and Mt. Tamalpais views! Designed by John Hudson Thomas in 1911! Beautiful old world details still intact! Glorious Golden Gate and San Francisco Views! Sweet yard with patio! Very special and one of a kind! Pristine Duplex! Opportunity knocks! 2BD/1BA units! Each unit has laundry and updated kitchen & baths! Newer room (3 years)! Sewer compliant! Easy access to San Francisco/Bay Bridge! Close to BART! Palm Springs in the Oakland Hills! Very special and completely unique! Live your daily life like you were on a perpetual vacation! All level with generous sized rooms and loads of storage! Pool house with bedroom and bath! Enjoy the big views from this IMMACULATE snap-shot-of-time home with a well cared for yard! Meticulously maintained throughout the years with modern updates: newer front foundation, dual pane windows and forced air furnace. Wonderful Mid Century home in coveted Upper Oakmore! A spacious home with warm, natural sunlight streaming through the numerous windows! Truly a great find! Fantastic, all level condo with San Francisco, bay and beach views! Ground floor, corner unit with gate leading right out the sidewalk and beach! 4 sliding doors leading to outdoor space and garden/patio! A wonderful creekside setting for someone who appreciates the tranquility of a peaceful home with a spectacular garden to accomomodate year-round indoor/outdoor entertaining. Beautifully landscaped, double lot (approx 5,000sf) with evergreen trees, redwood trees and drought-tolerant flowering plants. Truly an urban oasis! Truly one-of-a-kind property! Tasteful updates throughout! Exotic woods of the front balcony and back deck offer wonderful indoor/outdoor flow for entertaining or simply enjoying the park-like setting! Magical grounds on over 14,000 square foot lot! Sunny and spacious with views! Open and airy floorplan! Gorgeous hardwood floors! Fireplace in living room! Family room downstairs leads out to huge yard with tree fort! A classic with modern flair! Charm abounds in this cute, turn-key bungalow! Convenient locatio close to Berkeley Bowl and Ashby BART with Walk Score of 89! New roof, gutters and carpeting! A great alternative to a condo! Garage/storage and off-street parking! "Plus" room perfect for home office! A unique offering and a rare find! Amazing custom designed MID CENTURY MODERN on almost a 20,000 sq. ft. lot! Walls of glass captures the park like setting! Beautiful outlooks and hill views! Pristine condition! Truly a rare find! Updated and private retreat with great yard and deck! Some of the many special features include vaulted ceilings, fireplace and bamboo floors! Generous and open spaces! Very sweet & special! Elegant Craftsman is a compelling blend of elegant woodwork and modern convenience. Sophisticated, finished garage opens onto a large entertainment patio. Coveted location close to shops, restaurants, BART & freeways. Walkscore=89! Spacious, updated Tudor with old world charm still intact! Newer kitchen, bathrooms and dual pane windows! Beautifully landscaped front yard! Floor plan allows for great indoor and outdoor entertaining! Updated kitchen with granite counters and newer appliances. Single-level living with vaulted ceilings, fireplace and hardwood floors! Large, sunny lot with patio and usable yard! Tastefully updated and close to College Avenue shops and restaurants, Berkeley Bowl and other great amenities. All 4+ bedrooms on one floor! Updated kitchen with breakfast nook leading out to deck and amazing park-like yard. Loads of old world charm and many period details. ** reflects $8750 credit - cash deal. I represented the buyer! Stately Prairie style home in coveted Claremont Court! Stunning details and completely remodeled! Cozy library off the formal dining room! Lovely gardens with pond and detached studio! I represented the buyer! Stylish home with a modern flare and remodeled kitchen! Step-down living room, family room and rumpus room adds loads of space! Fantastic location close to the Village and trails! Walls of glass capturing Tilden Park views and set among a grove of redwood trees, this classic Mid Century Modern offers tranquility and serenity in a beautiful setting! Designed by renowned architect, Francis Joseph McCarthy (who also designed the Stanford Library). Serene and tranquil setting on approximately 13,500 sq. ft. park-like lot. Unlock the potential! I represented the buyer! Tucked into Rockridge and adjoining the Claremont Country Club, there's a rare jewel, a masterpiece of sumptuous living. Exquisitely detailed interior, views of the bay, and the Frank Lloyd Wright-inspired architecture! I represented the buyer! Exquisite detailing that delights throughout! Beautiful setting, fenced and set back from street! Beautiful view of Golden Gate & SF. Close to UC & 'Gourmet Ghetto! Wonderful split-level floor plan offers nice flow. Updated kitchen with stainless steel appliances and granite counters! Freshly tiled bathrooms! Close to Redwood Regional Park trails! Yard and deck! I represented the buyer! Stunning split level condo that includes: granite countertops, stainless appliances, hardwood floors, Berber carpet, upgraded bathroom tile, alarm system, storage, and Washer/Dryer. This home is close to Alameda Shopping while being located on the Estuary.! Beautiful remodel with San Francisco and Golden Gate Bridge views! Eco-friendly including natural travertine and slate stones and cork floor! Yard with meditation garden and stunning views! Freshly painted interior and exterior enhance the architectural charm of this split level home! Wonderful yard with deck for entertaining and gardening! Garage and off-street parking! Single level living in coveted Park Hills neighborhood! Tranquil Tilden Park views from most rooms! Lovely back yard with brick patio! Designed by renowned architect, Allen Brochier, this smashing Mediterranean was built in 1999 with only the finest of finishing details. Quality throughout includes fir doors, wood windows, rounded corners and arched doorways. Spacious master suite with french doors to private balcony. I represented the buyer! All level home with open floor plan on an oversized, private lot. Beautifully remodeled kitchen and baths. Fireplace and hardwood floors. Charming and spacious home in convenient location! Close to North Berkeley BART, Monterey Market and Cedar-Rose park. Fireplace in living room, large eat-in kitchen, beautifully refinished hardwood floors and much more! Sea Ranch style contemporary with wonderful indoor and outdoor living. Dramatic architectural lines and many windows capturing natural light and verdant views. Family room off kitchen. 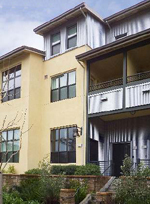 Easy access to Montclair Village and close to Redwood Regional Park. Simply stunning! Just steps from College Avenue shops and restaurants! Tall ceilings, hardwood floors and beautiful old glass reflect the old world charm! Loads of closet space and storage! Common deck and laundry facilities. I represented the buyer! Charming Craftsman just steps from College Avenue shops and restaurants. Large, sunny eat-in kitchen. Beautiful back garden with deck and hot tub! Designed by renowned architect, Francis Joseph McCarthy (who also designed the Stanford University Library). Spectacularly unique architectural gem with San Francisco Bay and Golden Gate views. Beautifully updated home loaded with old world charm. Gleaming hardwood floors, vintage light fixtures and fireplaces in both the oversized living room and family room. French doors from the family room leads out to lush and level backyard with outdoor fireplace. Situated on a 13,000+ square foot lot next to Redwood Park. Truly a special setting. Sunny, southern exposure. San Francisco bay and Mt. Diablo views. Loads of potential! Wonderful single level home with beautifully remodeled eat-in kitchen, formal dining room and hardwood floors throughout. Master suite with sitting area. Oversized, fenced yard with patio area. Charm abounds from this adorable cottage on a fantastic tree-lined street. Bright and sunny with many period details. Close to Dutton shops and restaurants. Beautifully updated Brown Shingle in one of Berkeley's most sought-after neighborhoods. Box beam ceilings, hardwood floors, formal dining room and much more. Close to shops, restaurants and transportation. Beautiful Mediterranean with many period details including refinished hardwood floors and special Spanish architectural highlights. Generous sized rooms including an oversized sitting/sunroom with twinkling city views. Stylish contemporary with soaring ceilings, wood beams and an open floor plan. An array of windows captures beautiful, natural light. Family room leads to level backyard with detached deck. Immaculately maintained contemporary close-in to Montclair on an oversized lot. Open and inviting floor plan with 3 bedrooms and 2 baths on main level and 1 bedroom, 1 bath downstairs. Loaded with old world charm! Brown shingle building converted to condos. Hardwood floors, tall ceilings and updated, eat-in kitchen. Coveted Elmwood location! Close to shops, restaurants and transportation. I represented the buyer! Mid-Century ranch with soaring ceilings, limestone fireplace and huge formal dining room. Rumpus room down leads to large back yard. Sweet bungalow on quiet cul-de-sac. Pretty bay windows in the living room. Refinished matchstick hardwood floors, breakfast nook and deck off formal dining room. Loaded with charm! I represented the buyer! 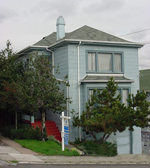 Smashing San Francisco and bay views from this spacious 6 bedroom, 3 full bath house. Prime North Berkeley location. 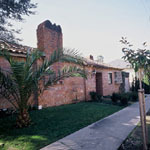 Close to Solano shops and restaurants. Fabulous ground floor unit in the desirable David Baker designed complex in superb location. Close to Bay Bridge, transportation, shops and restaurants. Freshly painted in designer colors! Close to Piedmont Avenue! Updated kitchen with granite counters and tile floors. Gleaming hardwood floors, oversized formal dining room and a delightful breakfast nook with built-ins! Yard, deck, patio and much more! Front house has 4 bedrooms, 1+ bath, formal dining room with box beam ceilings and classic Craftsman style fireplace in the living room. Darling back house has 2 bedrooms and hardwood floors with inlays. This property is truly a beauty! Located at the end of a cul-de-sac in a tranquil creekside setting, this remodeled 2+ bedroom homes allows you to move right in! Well maintained contemporary in a tranquil wooded setting. Split level floor plan. Formal dining room with pretty tree views. Gleaming hardwood floors. Opportunity knocks in this great 4 bedroom, 1.5 bath home on an oversized lot. Golden Gate and bay views! Formal dining room with access to large backyard. Spacious Craftsman with original charm and details including box beam ceilings in the formal dining room, picture molding throughout and hardwood floors. Oversized basement with 4th bedroom, extra bath and kitchen. I represented the buyer! Wonderful home with quality upgrades. Gourmet kitchen with granite counters & bamboo floors. Master suite with new bathroom. Gorgeous lot set amongst mature oak trees. New, 50-yr roof. I represented the buyer! Charming brown shingle craftsman home featuring original wood details, stained glass accent windows, built-in dining cabinetry, walnut floors, spacious eat-in kitchen w/ skylights, private garden & in-law potential. Fabulous Glenview/Crocker location. Owner's unit with updated kitchen, bath, fresh paint and refinished hardwood floors. All units 1 bedroom, 1 bath. Two units being delivered vacant. A stunning building loaded with old world charm. More spacious than it appears from the outside with a family room, rumpus room with bar and huge yard! One block from Piedmont Avenue shops and restaurants. 1+ car detached garage and a delightful back yard with potting/storage shed. * After selling house in February 2004, client got job transfer and had to sell just 2 months later. Beyond charming. Oasis of a back yard! "Plus" room is perfect for home office. New dual pane windows. Original wood detailing. Grand and spacious 5+ bedroom, 3 bathroom Traditional in a million dollar neighborhood. 2 close blocks to Berkeley Tennis Club and the world renown Claremont Spa & Resort. I represented the buyer! Stunning San Francisco views from this one-of-a-kind home. Masonry house with clear-heart redwood walls and mahogany floors. Beautiful Tuscan garden. I represented the buyer! One day on the market! Remodeled kitchen with stainless steel appliances. Remodeled bathrooms! Fabulous yard! I represented the buyer! Charming Glenview bungalow. Loaded with old world charm! Formal dining room with built-ins. Great back yard with deck! DUPLEX close to Piedmont Avenue shops and restaurants. 2 bedroom owner's unit with refinished hardwood floors, updated kitchen and bath. New roof. New foundation. Freshly painted inside and out. Stately brown shingle home with 5 bedrooms, 3+ baths. Stunning living room and formal dining room with box beamed ceilings. Hardwood floors and lead glass windows are some of the many old world characteristics of this grand home. Stunning and elegant 1920's building within a short block to College Avenue. This condo retains its old world charm with private patio and yard. I represented the buyer in this fabulous 4 unit building in a prime Glenview location. All 1 bedroom units with old world charm - hardwood floors, fireplace in living room and original built-ins in the formal dining room. Fabulous ground floor, level condo closest to Leona Canyon Regional Park. Hill-facing unit offering maximum privacy. Sliding doors to secluded patio expands the open floor plan. Bright and sunny location on Saroni Drive in Montclair. Spacious 2 bedroom, 1 bath home with hardwood floors, fireplace and rumpus room. Sliding doors to brick patio and back yard with outdoor fireplace and BBQ pit. I represented the buyer! Immaculate upper level unit with spacious rooms, freshly painted, new appliances, fireplace in living room, two decks overlooking mature landscaped grounds. Spacious atmosphere with vaulted ceilings. Huge parklike yard, Mt. Diablo views & in ground swimming pool. Family room, formal dining room and even a full bar! New roof, new paint inside and out & new dual pane windows are just a few of the upgrades to this wonderful home.